Email Spy is a user-friendly email spy software that allows you to record and forward incoming and outgoing emails, including web-mail services like Gmail, Hotmail and Yahoo mail. Once installed on monitored computer, the email spy software will sends copies of all incoming and outgoing emails to your secret email address. Nowadays most personal users use web-based email services. Therefore, apart from email client logging, today the email spy software allows to capture web-based emails (Yahoo and Hotmail, both incoming and outgoing). POP3 mail is what most Internet Service Providers offer. Email Spy allows to capture POP3-based mail messages within email client like Outlook Express. The messages you open will be deleted from the server and stored on your PC. Most e-mail systems that send mail over the Internet use SMTP. Email Spy allows to capture SMTP outgoing e-mails. The messages can then be retrieved with an e-mail client software using either POP3 or IMAP protocols. The emails captured by the email spy software can be delivered to specified remote email address or local disk. Remote email delivery is convenient for users like boss or company security officer who want to review captured emails remotely. 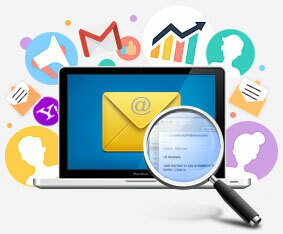 Email Spy Security Email Spy has reliable security options. Complete invisibility, hotkey activation and access password allow users to be protected against unauthorized program start, uninstall, settings change and detecting by anti spyware applications. Company email policy The email spy software allows to display special warning on user system logon to inform employees about company email monitoring policy. You can either modify default policy text example (if it’s suitable for you) or enter your own text. Extremely easy to setup To install and configure program you simply have to run setup file and configure your delivery way for captured emails. Even computer novice can use Email Spy – the most feature-riched and easy-to-use email spy software for Windows users. All Email Spy software is available in electronic form only. You can download trial (unregistered) program copy from our web site at any time. Trial copy is fully functional during trial period and differs from registered copy by presence of pop up warning messages ONLY.